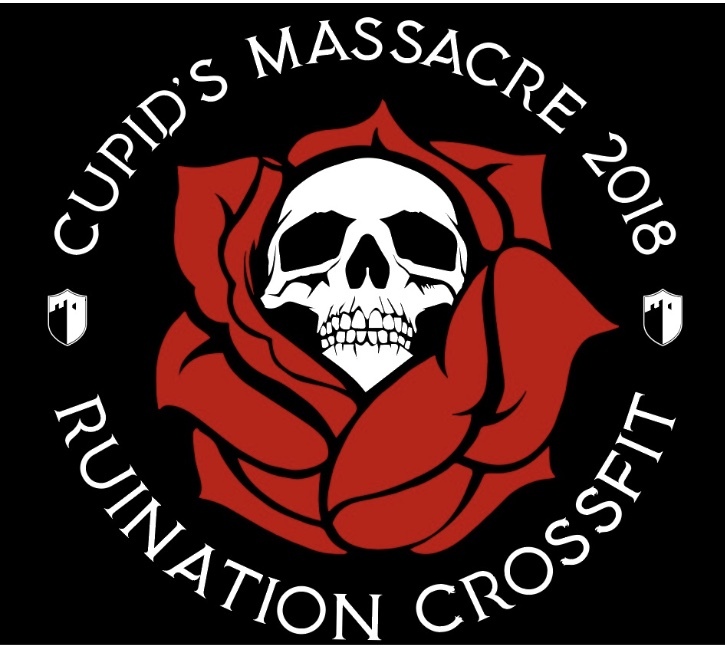 What: Ruination Crossfit’s 6th annual co-ed couples competition. Cost: $120 per team if registered before January 1, 2018. $150 per team after January 1st. Limit: 48 teams total. This event will sell out! Details: 3 Crossfit style workouts, each team is one guy and one girl. There are two divisions, Scaled and Rx. Workout Notes: One person works at a time (except row/bike part), both partners must do at least 10 Muscle Ups/Pull ups, break them up however you like. Rx: Partners must perform each handstand walk, one person working at a time. Partners must perform 42-30-18 HSPU broken up however, one person working at a time. Scaled: Partners must perform 3 wall walks each, one person working at a time. Partners must perform 42-30-18 HSPU broken up however, one person working at a time. Workout Notes: For the lift, only one athlete may work at a time.